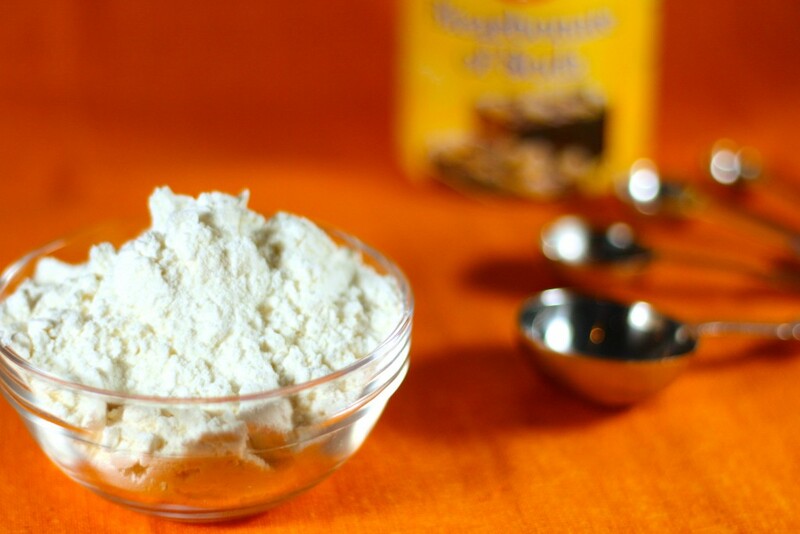 Learn how to make your own home made gluten free baking powder. Firstly, not all baking powders are gluten free and as a result, this is a fast track way to contamination. As a result, many people make the BIG mistake of confusing baking powder with baking soda. But they are very different and many brands of powders contain gluten. So…what is the difference between baking soda and baking powder? Both baking soda and baking powder are leavening agents. This means they are added to baked goods before cooking to produce carbon dioxide and cause them to ‘rise’. Baking powder contains baking soda, but the two substances are used under different conditions. Baking soda is pure sodium bicarbonate which is naturally gluten free. When baking soda is combined with moisture and an acidic ingredient (e.g., yogurt, chocolate, buttermilk, honey), the resulting chemical reaction produces bubbles of carbon dioxide that expand under oven temperatures, causing baked goods to rise. The reaction begins immediately upon mixing the ingredients. As a result, you need to bake recipes which call for baking soda immediately, or else they will fall flat. Baking powder also contains sodium bicarbonate, but it includes an acidifying agent like cream of tartar, a drying agent in the form of a starch. In some instances, the starch may come in the form as wheat flour or other starches which contain gluten. Brands that use cornstarch are gluten free. Always read the manufacturer’s label, however, due to processing practices. Many recipes call for baking soda, while others call for baking powder. It depends on the other ingredients within the recipe that determines which is used. The ultimate goal is to produce a tasty product with a pleasing texture. Baking soda is basic and will yield a bitter taste unless countered by the acidity of another ingredient, such as buttermilk or another source of acid like citrus. You can easily buy a gluten free brand of baking powder, or you can make your own. But if in a pinch and don’t have gluten free baking powder on hand or cannot find a version in your local grocery store, here is a quick, easy recipe! Mix the ingredients together until well combined. Multiply the recipe for larger quantities and store in an air-tight container. Note: The corn starch will absorb any moisture from the air, and prevent the baking powder from reacting before you need it. If you don’t have corn starch on hand, no worries. The baking soda and cream of tartar on their own will work just as well, but you need to use immediately.